Following the terrorist attacks in 2001 a new voting bloc was identified and it wasn't all that empowering – the security mom. She was scared, living in the suburbs and worried that her family was in danger from radical Muslims. She was scared and would vote for the macho candidates who would protect her family. Sarah Palin stormed onto the national political stage a few weeks ago as the ultimate security mom; a mom who could hunt down a terrorist with her own gun. She stood beside a war hero and told the women of this country that in order to be safe we should trust her. Now Gina M. Bennett introduces us to a different type of mom in National Security Mom: Why "Going Soft" Will Make America Strong. Bennett has logged over twenty years as terrorism analyst and fifteen years as a mother. She has the moxie of Palin but the experience of Jack Ryan. As suggested by the subtitle of her book, Bennett takes the wimpy framing of security mom and turns it on its head. Not by puffing her chest out ala Hillary, Pelosi and other women who like to play with the big boys in the sandlot of national security, rather Bennett outlines why the lessons we teach our children are the same guidelines we should be using when dealing with terrorism. Yes, she's giving terrorism a serious time-out. While there were points in the book where I thought Bennett was being far too simplistic, if you truly stop to think about what many of us, especially progressives, find wrong about how the United States has been dealing with terrorism, you will most likely see things Bennett's way. 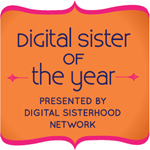 Bennett asks us to stop and consider the adage, "Choose your friends wisely." Is it really in our best interest to be this friendly with China and Pakistan? What other friendships do we have that benefit us but harm the citizens who may turn on us in a generation? And what nations should we really be hanging out with? In this election year we have heard and will hear again how McCain has served this country in a military capacity and criticisms of Obama's stance to talk to nations like Iran. Obama's stance is painted as being soft on terrorism – Bennett makes the case that being soft, listening carefully, and talking about root issues isn't being soft, but being safe and smart. These motherly or feminine qualities are also why she wants to see more women and especially mothers engage in politics, even if it is just us engaging in political discussion. She makes a firm feminist argument without using feminist terminology that women can be strong on security issues without playing like the men. Even more so, that our (in a very general sense, Prime Minister Thatcher) feminine methods of communication without the swagger of cowboys just might be the medicine this world needs. 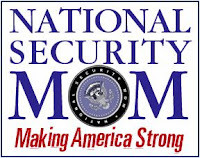 You can pre-order National Security Mom before its November release at an indie bookstore, Powell's, or Amazon. 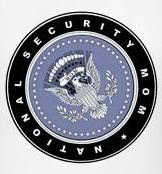 Bennett also has a CafePress store so you too can sport the National Security Mom logo!